Not all branding agencies are the same. Businesses that look for professional brand image and businesses trying to project themselves as playful have completely different sets of needs. So, you need to choose a branding agency for your business based on your unique requirements. But it’s not that simple. 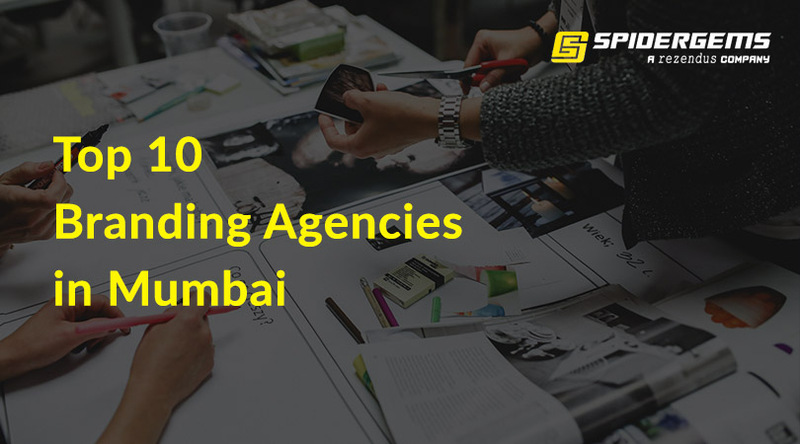 That is why I have created this list of top 10 branding companies in Mumbai with a detailed review of what each of them is good at. Brand Harvest is a pioneer among the banding agencies in Mumbai. The key people in the agency have experience in working for branding legends like Ogilvy, LOWE, and McCann. Over the last 10 years, Brand Harvest has worked for more than 100 businesses including MNCs and small businesses. It provides brand identity design and brand consulting and helps its clients to build strong brands. Design Stack is an agency delivering optimal branding solutions in Mumbai. It was established in 20018 and worked with well-known brands like SBI, Mastercard, Walt Disney India, Asian Paints and Times Group. This agency can deliver effective solutions for both established businesses and boutique startups. They have experts in every aspect of brand communication and which helps them to deliver a complete range of branding solutions. Apart from regular branding services, Design Stack also provides UI design. It makes it one of the best destinations for branding services in Mumbai for companies that deliver digital solutions. Fruit Bowl Digital is an award-winning agency in Mumbai. Its portfolio is full of colorful and vibrant brand identity design. This agency is focused on delivering branding solutions to the business-to-consumer (B2C) companies. Apart from branding, Fruit Bowl Digital also provides a wide array of digital and marketing solutions including web development and digital marketing. It makes Fruit Bowl Digital a one-stop destination for all marketing and branding requirements a company will ever need. Leaf Design creates an integrated brand experience that connects businesses with their target customers. The branding identities designed by this agency look clean and professional. The company was established in 2002, and it has more than 15 years in the field. Their process includes systematic brand auditing and opportunity mapping to build the perfect brand architecture that facilitates meaningful engagement. If you are looking to build a unique yet professional brand identity for your business, Leaf Design is your best destination in Mumbai. Chlorophyll is one of the major branding and advertising agency in Mumbai. It helps businesses to design effective brand identities and execute branding strategies to connect with the target market. It has worked with businesses like Hindustan Unilever Limited, Milton, and Indigo. The digital business synthesizer of Chlorophyll helps businesses in creating ownable digital brand narratives to connect with the customers and uplift the business. Chlorophyll also helps businesses with advertising on TV and Newspaper to leverage the brand. Almond Branding helps businesses to unleash full potential by leveraging their brand image. They create brand identity and devise brand strategies to achieve the specific branding goals of businesses. Over the last 10 years, Almond Branding has worked with well-known brands like Amul, Berger, ITC, Adani Wilmar. It provides brand development and brand nourishment services to optimize the existing brands and help business to achieve greater success. Almond Branding has good popularity among their clientele because it solves the various problems and challenges easily. Yellow Fishes is a premier branding agency in Mumbai. It is focused on creating strategies to create brands that people would admire and aspire to connect with. Unlike many other agencies in the list, Yellow Fishes is an exclusive branding and design consultant firm, and it doesn’t provide multiple related services. It helps them to focus all the attention into one particular process. Instead of focusing on the trend and data, Yellow Fishes rely on people and emotion to make people aspire for the brand. If you want to create a brand that connects with the people and they aspire for, Yellow Fishes is the best branding agency in Mumbai you can approach. Thin-i is a creative branding and advertising agency in Mumbai established in 2012. It combines modern brand execution techniques with traditional wisdom to create great and memorable brands. It combines brilliant brand strategy with breakthrough creative to bring the brands to life. Their strategies are focused on building brand images which make people connect with the brand. Thin-I is also focused on analyzing the impact of new branding strategies and improving them to achieve the optimal result. So, if you need an agency that can build a legendary brand, Thin-I can be your best option. Phi Creative Solutions is a branding, design, marketing and advertising company established in 2000. It is focused on delivering solutions to both B2B and B2C companies that provide unmatchable digital experiences to their clients. Although their primary focus is in UI design, they also help businesses with creating brand identities and forming brand strategies. Over the years, Phi Creative Solutions provided branding services for well-known brands like Tessol, Fate, and Vivian Group. ABND is a branding company focused on business growth. They follow data-oriented methods to find out the best branding techniques for each type of business and market. It creates branding and marketing collaterals that help companies to make a memorable impression in the audience and build a stronger bond with them. Over the years, ABND has worked with brands like Yash Birla Group, Precision, and Alok Industries.